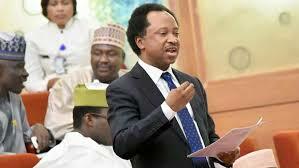 Senator Shehu Sani, who represents Kaduna Central district in the National Assembly has raised concern over the state of Nigeria Police. Sani, on Friday called on the federal government to stop sidelining the Nigeria police and accord same attention it gives the Nigerian Military. He stated this in reaction to the approval of N1bn approved for military equipment. Recall that Buhari had approved the fund during a meeting with the Minister of Defence, Brigadier General Mansur Dan-Ali (rtd), and the service chiefs at the Presidential Villa in Abuja. The Kaduna lawmaker in his tweets expressed concern on the force being left behind.